Please see the Wallingford Educates Wallingford page with the presentations given at the meeting. 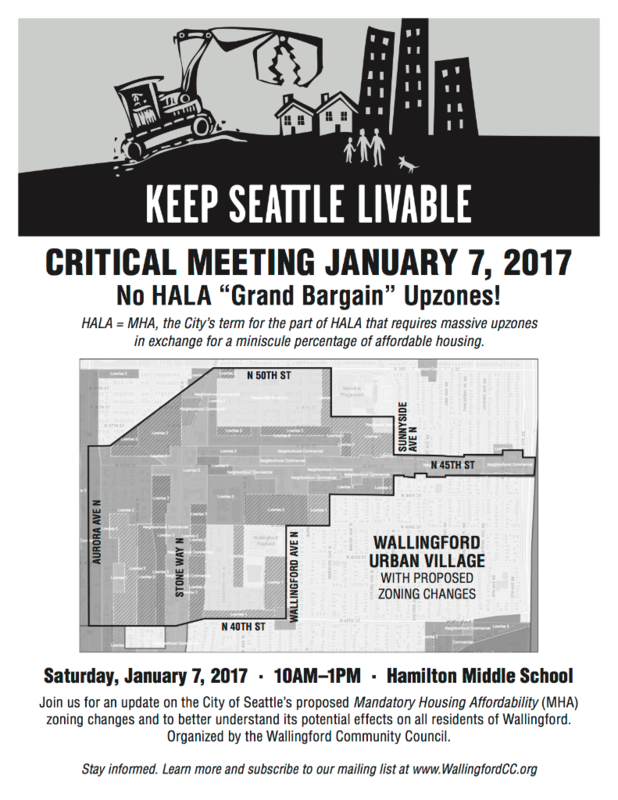 Wallingford Educates Wallingford on the HALA “Grand Bargain”, MHA Upzoning, and how this impacts our neighborhood. All Wallingford residents are effected, not just those living in the Urban Village. 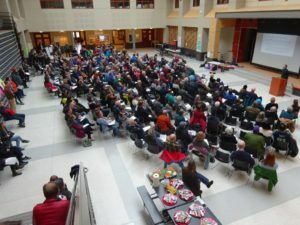 Over the past year, the City has done minimal outreach and education to the residents of Seattle regarding the City’s rezoning plans. 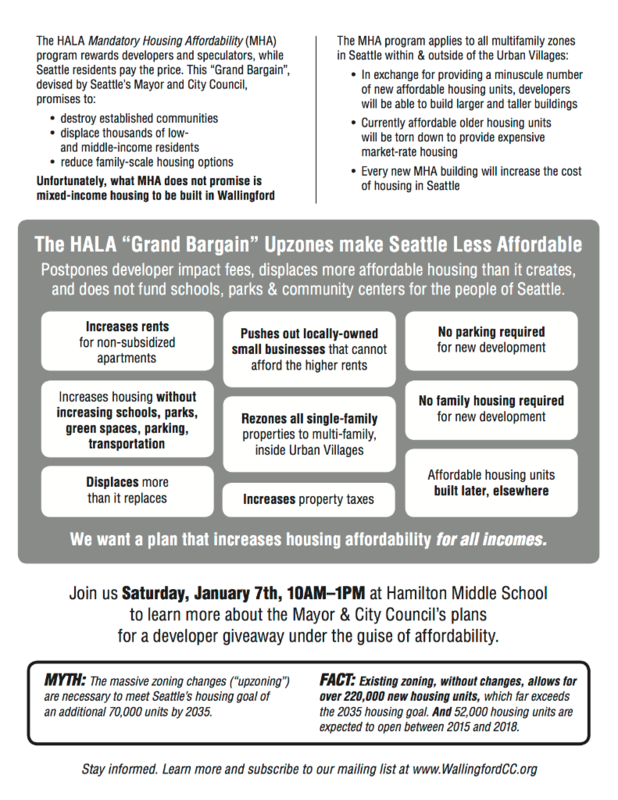 Come learn more about the zoning changes and how you can be involved. This entry was posted in Backyard Cottages, Calls to Action, Land Use, Parking, Quality of Life, Schools, Transportation on December 29, 2016 by Frank Fay.